New from Diamond Select Toys and Art Asylum, DC Minimate's make their glorious return, starting with a line inspired by Tim Burtons: Batman films! Based both on the actual films and designs inspired by Tim Burtons style, you will experience the Batman films like never before! Collect characters that were never seen on the silver screen, such as: Bane, Mr Freeze, and many more! 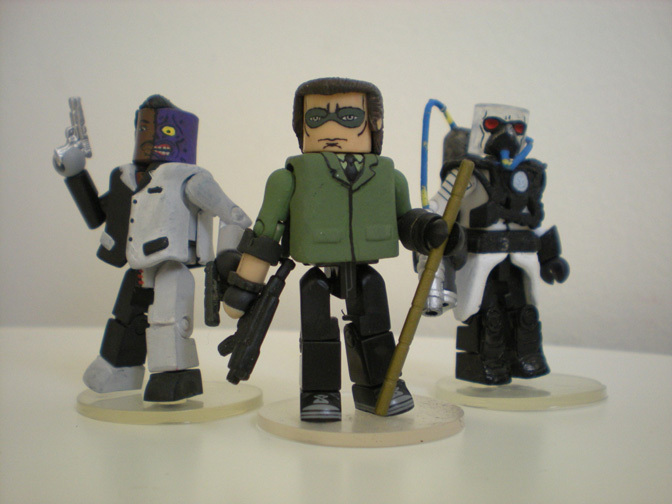 This is only the beginning of a great new era of DC Minimates! 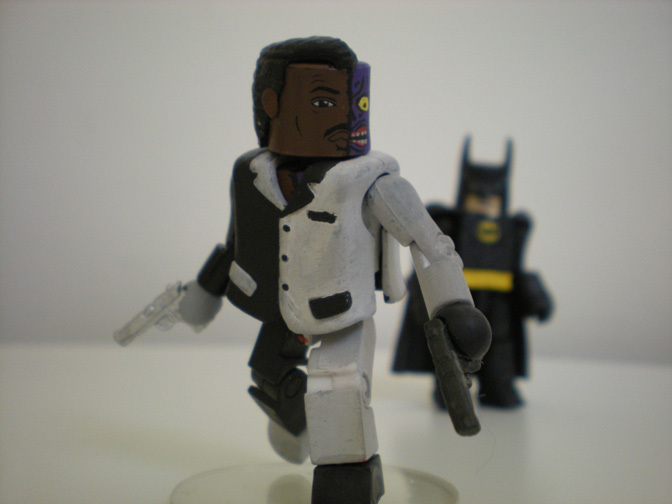 Inspired by the hit film series, Two Face makes his debut in Minimate form! 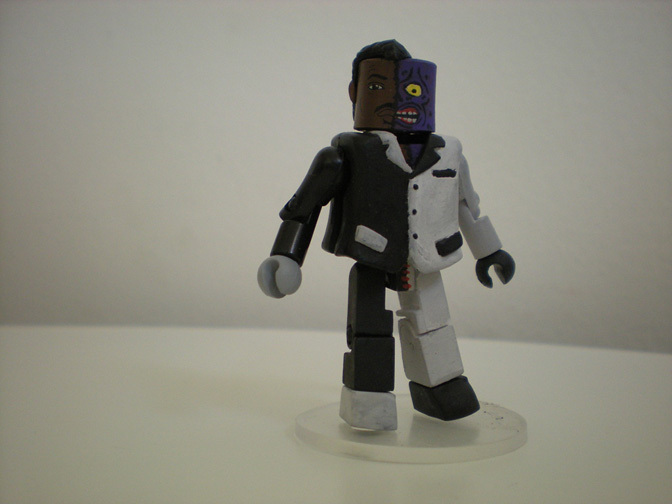 Deal out twisted justice with your own Billy Dee Williams Two Face. Former district attorney of Gotham, he was once considered the city's White Knight. His fall from grace is due to his psyche fracturing after being exposed to toxic chemicals which permanently scar half his face. His view on the world has become black and white, causing him to murder those he deems guilty. 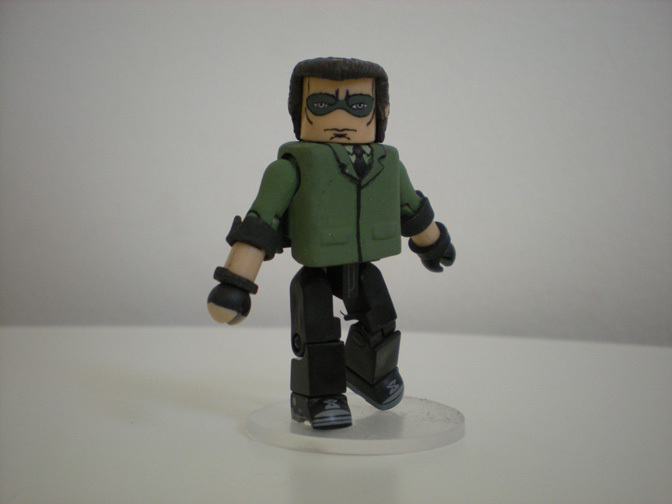 Inspired by the hit film series, The Riddler makes his return to Minimate form! 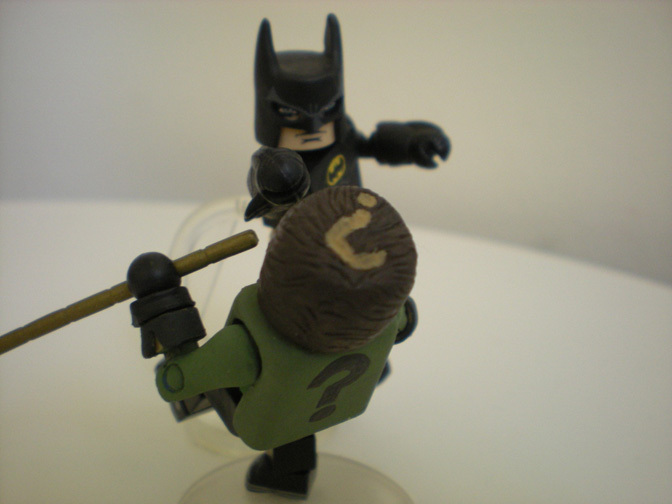 Ensnare all of Gotham in mind-games with your own Robin Williams Riddler. Abused and ignored as a child, Eddie Nash become obsessed with riddles, puzzles and other brain teasers. As an adult he changed his name to Edward Nigma (E.Nigma) and took on the title: The Riddler. Riddler started to terrorize Gotham by committing crimes and holding people hostage, only to surrender if the authorities answered his riddles, his goal is to solve the biggest riddle of all, "Who is the Batman". 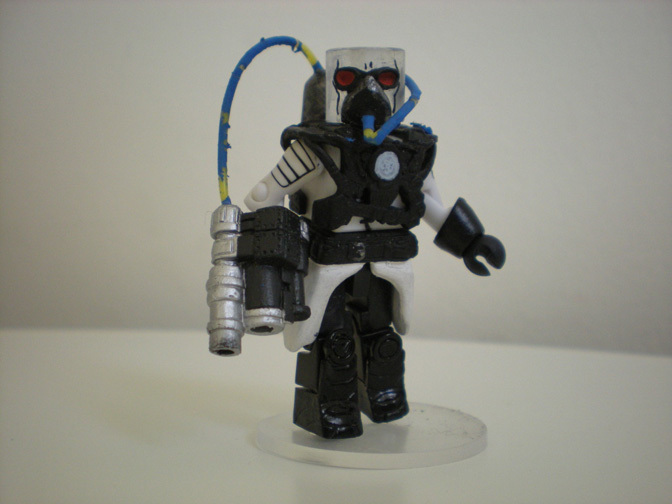 Inspired by the hit film series, Mr Freeze makes his debut in Minimate form! 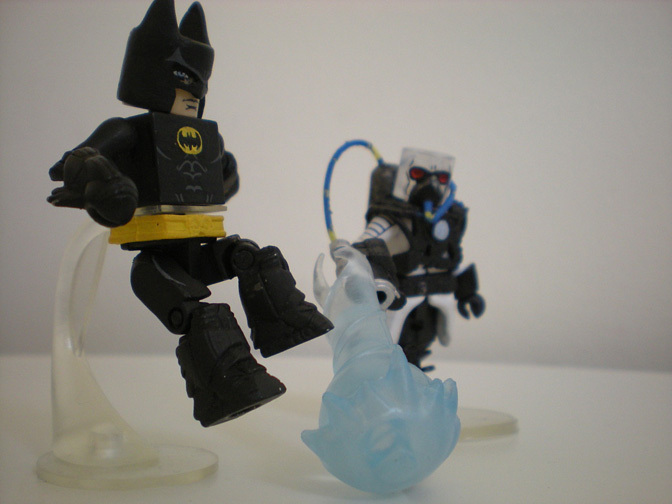 Freeze the citizens of Gotham with your own Anthony Hopkins Mr Freeze. Former experimental physicist, Victor Fries turned to a life of crime after his wife Nora succumbs to a new disease requiring Victor to cryogenic-ally freeze her to prevent the disease from killing her, while trying to find a cure, Fries is exposed to one of his attempted cures, causing him to require zero degree temperatures to survive. Victor creates a cryo suit for himself and then creates ice generating weapons of the same technology and uses them to hunt down supplies to cure his wife.